Levitation returns to its downtown roots for its 10th year. The festival will be hosted in multiple venues across Austin’s Red River Cultural District on April 26-29, 2018 including Stubb’s, The Mohawk, Barracuda, Empire, Cheer Up Charlies and more. It will also spread through the city’s cafes, galleries and record stores with pop-up performances, art happenings, food events, and more. 2018 will utilize Austin’s downtown venues that have helped cultivate the city’s unique and legendary music scene – bringing a more intimate experience, with longer sets from headliners alongside all the conveniences of the city. For the past 10 years, Levitation has attracted travellers from all over the world for its once-in-a-lifetime lineups, with programming spanning continents and decades. Over the years, this independent gathering has grown from a small word-of-mouth event to an internationally acclaimed, full-weekend destination. Through the years, Levitation helped spark a movement, inspiring the creation of Psych fests across the globe. Austin Psych Fest was renamed Levitation in honour of Austin’s psychedelic rock pioneers The 13th Floor Elevators, who reunited and performed at the festival in 2015. Levitation weekend kicks off this year with Ty Segall, Parquet Courts and A Giant Dog at Stubb’s on Thursday, April 26, 2018. Tickets for the show are on sale now (here). Levitation’s full lineup and programming for the weekend will be announced Fall 2017. 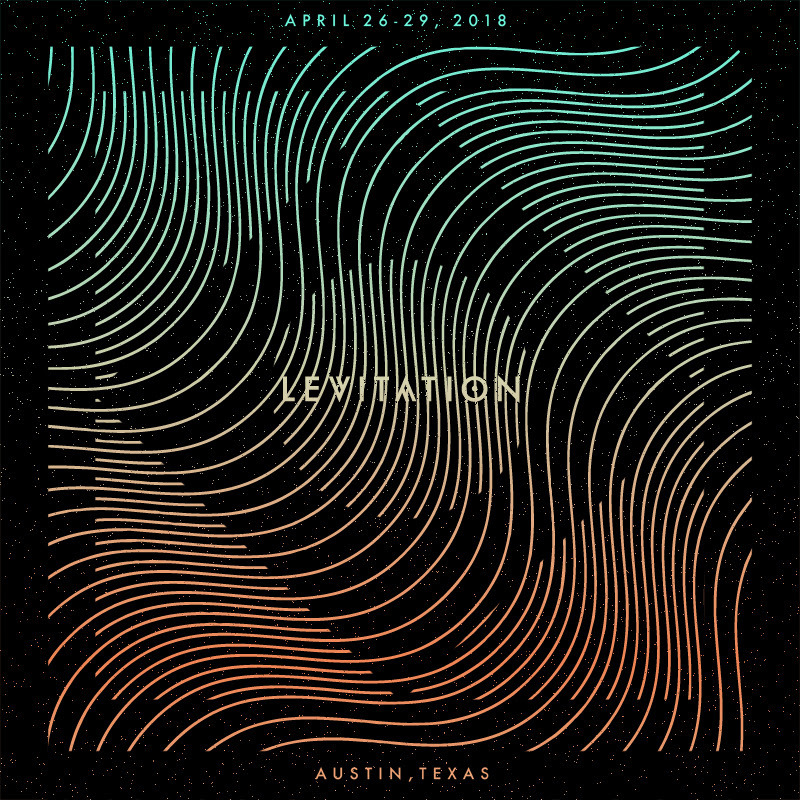 Stay tuned for the announce of the full lineup and follow the festival online for the latest news and updates via Levitation-Austin.com.